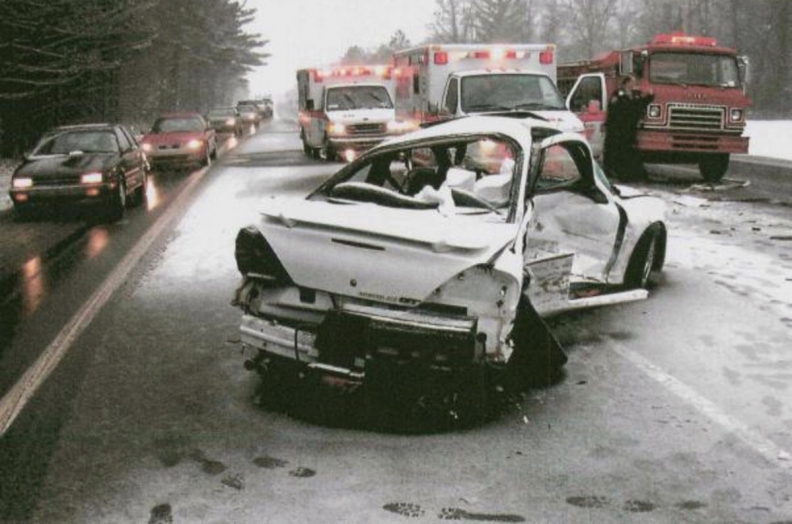 Pillars' Grand Am after crashing on a Michigan highway. DETROIT (Bloomberg) -- Ben Pillars always wondered why his wife crashed her Pontiac Grand Am in 2005, sending her into a coma from which she never recovered. Then last year, General Motors recalled the car for a faulty ignition switch and Pillars thought he had his answer. But when he submitted a claim to a compensation fund set up by the company, he was turned away. At a congressional hearing last year, U.S. Sen. Richard Blumenthal, D-Conn., encouraged CEO Mary Barra to expand the compensation fund to include more cars recalled for a defective ignition switch. Now, with fund administrator Kenneth Feinberg weeks away from wrapping up, Blumenthal says the omission is all the more glaring. GM spokesman Jim Cain said the compensation fund’s scope is fair because the ignition switches excluded were a different design and discovered under different circumstances. Feinberg declined to comment. Barra announced the compensation fund in June 2014 after GM came under fire from lawmakers for taking more than a decade to recall cars with switches that could be jogged accidentally into the off position. Worth as much as $600 million, the Feinberg fund gave victims and their families a route to seek compensation not available to them in the courts because GM has legal immunity from lawsuits related to accidents that occurred before the company emerged from bankruptcy on July 10, 2009. Victims of pre-bankruptcy crashes excluded by Feinberg can’t sue. Feinberg has so far agreed to payouts for 119 deaths and 243 injuries. An analysis of lawsuits filed in the last 18 months shows that more than a dozen deaths and as many as 100 injuries that occurred in accidents before GM’s bankruptcy have fallen outside his scope. “We created the Feinberg compensation program as an exceptional response to a unique set of mistakes that were made over an extended period of time,” Cain, the GM spokesman, said in an e-mailed statement. For years, Pillars wondered what caused his wife’s Grand Am to veer across a wintry Michigan highway in 2005 and into the path of a Toyota minivan. A photograph taken shortly after the accident shows the key in the off position. It wasn’t considered important at the time, he said. But when GM announced the recall that included the Grand Am last June, it all clicked into place, Pillars said in an interview. He found the photos and other clues in a file cabinet he’d kept of all her records since her March 2012 death. Pillars submitted a claim to Feinberg and it was rejected in March. Applications to the fund closed Jan. 31, so no additional cases will be considered. Feinberg has processed 4,261 claims and another 81 remain under review. So far, 3,027 have been found ineligible and another 872 deficient. Doris Phillips is also ineligible for compensation because the car her husband was driving when he crashed wasn’t on the list of those with the hidden defect. In October 2005, Adam Powledge lost control of his 2004 Chevrolet Malibu near Houston and hit a metal pole in a highway median. The car caught fire, killing Powledge and four of his children, ages 6-12. In 2007, Phillips sued GM, alleging that an electrical malfunction caused her late husband to lose control of the Malibu. GM lawyers said this explanation was impossible because all of the vehicle’s systems would have had to fail at the same time, according to court filings. In 2010, Phillips settled the lawsuit, receiving $521,000. Last year, GM recalled the 2004 Malibu for a defective ignition switch. The Feinberg fund allows people to file a claim even if they settled their cases years ago. But Phillips didn’t bother submitting a claim because the Malibu defect wasn’t covered by the fund. Had the vehicle been eligible, the family could have received at least $5 million for the deaths. GM spokesman Cain said that because the vehicle was destroyed, there’s no “black box” data that might shed light on the accident’s cause. Based on the police investigation, GM is unaware of any evidence that the crash was caused by a defective switch or loss of power, he said. Phillips is seeking to reopen her case, despite the settlement, said her attorney Josh Powell. But winning is unlikely for anyone suing over an older accident given the bankruptcy shield, said Chip Bowles, a lawyer at Bingham Greenebaum Doll LLP, who isn’t involved in any GM cases. While victims may consider the outcome unfair, that’s an essential part of the process, Bowles said. For Pillars, the point isn’t to get a big payday, it’s to get some sense of closure and fairness, he said. “You look at the list of recalled cars, it’s quite extensive,” he said, photos of his wife’s car and accident reports spread in front of him. “How can they only pick out certain makes, models and years when it expands across such a vast number of years and a vast number of models?